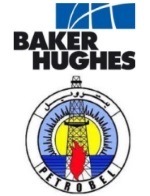 édité le 11/09/2017 - Plus de news de "BAKER HUGHES" - Voir la fiche entreprise de "BAKER HUGHES"
Petrobel is a joint venture between IEOC (an Eni subsidiary in Egypt) and Egyptian General Petroleum Corporation (EGPC) and is in charge of the development of Zohr Field on behalf of PetroSherouk, a joint venture between Egyptian Natural Gas Holding Company (EGAS), IEOC and BP. This project draws on the experience of BHGE in large bore, long offset gas fields and incorporates an integrated HIPPS system and positions BHGE as a market leader in this field. For the first time, BHGE will also provide 10 e-EHXT trees, manufactured at its subsea center of excellence in Aberdeen, Scotland. The trees were designed in collaboration with Eni as part of a standardization exercise, applying field-proven products and systems gained from previous projects with Eni on a range of successful deep-water projects in Africa. In addition, BHGE will provide wellheads via a separate contract awarded by Petrobel earlier this year. The award underlines the global scope and breadth of BHGE’s fullstream portfolio and local capabilities, with engineering support for the project coming from the UK, Italy and Norway. The steel structures will be manufactured in Alexandria, supporting local employment in Egypt, as well as the UK, Norway and Italy. Project management services will also be supported from Egypt and from the UK. Leveraging decades of expertise in-country and growing its local manufacturing ecosystem, BHGE is committed to helping secure Egypt’s energy future through the development of local talent and efficiency-driven solutions.